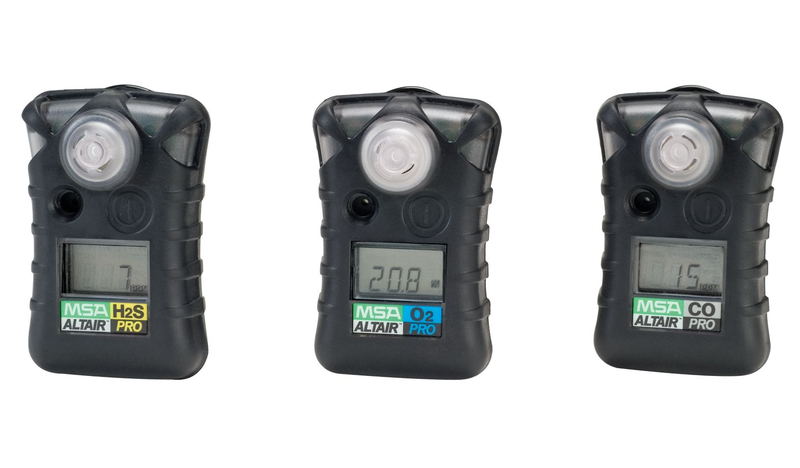 Based on the industry-standard ALTAIR Single-Gas Detector, but with added features and functionality the MSA ALTAIR Pro toxic gas and oxygen detectors combine reliable detection and LED, audible, flashing, vibrating alarms with clear, backlit LCD displays. 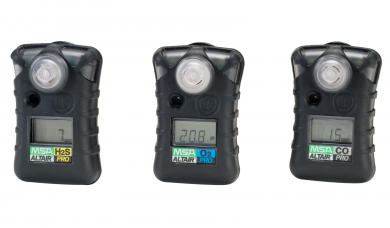 Electrochemical sensors measure concentrations of toxic gas (ammonia, carbon monoxide, chlorine, chlorine dioxide, hydrogen cyanide, hydrogen sulfide, nitrogen dioxide, phosphine and sulfur dioxide) or % oxygen. Purpose-built for superior dust and water protection, excellent impact resistance and excellent RFI performance.